The Evening Sun is reluctantly raising our retail price to $1.00 per issue effective Monday, September 3, 2018. In the .. The local election races, especially for Norwich City Court judge, seemed particularly bitter and divisive this season. The newspaper was ..
Richard Snyder, Publisher of the Evening Sun has announced that Meagan Schulz is moving up from her current position as ..
Local Boy Makes Good! This was the e-mail heading that I received from a longtime friend about a local son ..
Evening Sun Publisher Richard Snyder is announcing the appointment of Tyler Murphy as the newspaper’s new managing editor. Tyler brings a ..
Richard Snyder Photo. More photos on our facebook page at https://www.facebook.com/pg/theeveningsun/photos/ I don’t want anyone to confuse me with an actual ..
Obviously this is a very hot topic and is helping to gather a great deal of attention for Bernie, Hillary, .. There are individuals who bring enjoyment to us personally and there are also those that bring enjoyment to thousands of ..
You may wonder why so many ads and so much printed copy makes reference to “The Big Game,” and does .. 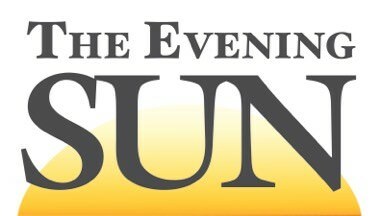 Unfortunately for us at The Evening Sun, I must announce that our long-time Managing Editor, Jeff Genung, will be leaving ..